We had just finished packing but the thrill of the fair still remained. Embedded World 2018 was over and the truck with our booth was now backing away. Embedded World, an electrical systems trade fair, located in Nuremberg, Germany, brought together developers from all industries and was the perfect event to showcase our rhomb.io modular manufacturing system. For three days, we had been presenting the system to people from all over the globe and having a blast in the process. Developers were fascinated by our carrier boards and modules, the choice available and how easy they made it to create and modify an electronic device. “They just go together like Lego!” one person said. Our modular system is very simple but gives developers flexibility and choice. Once you have a concept in mind, the first stage in developing your product is to choose a carrier board. We offer many options depending on the needs of your device, including creating your own from scratch. Each board has a number of sockets into which the rhomb.io modules plug in. Modules give your device its capabilities. From a powerful processor or minicontroller to memory, GPS tracking, or bluetooth. Simply press the module you choose into the sockets on your carrier board. This quick and easy method of building electronic devices pushes your ideas through the prototyping stage and moves it into mass production fast. 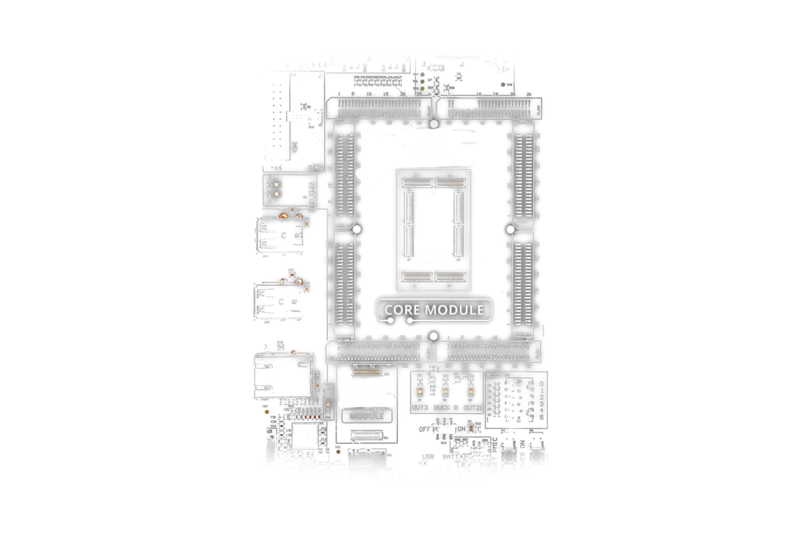 The system also boasts complete pin-to-pin compatibility between IC manufacturers, and for those who want to further customise, all information on our carrier boards and modules is open-sourced, giving developers complete control over their ideas. In all, Embedded World was a great experience. We made so many new friends and can’t wait to start working together. We would like to say thank you to everyone who came by and visited and to encourage anyone with questions to reach out. We would be happy to hear from you. Contact us here.